It seems as if a new type of hybrid battery system is hitting the market every day. These systems are highly technical and their overly simplified specification sheets rarely provide the information required to make an accurate comparison. Advertisements are focusing on big numbers such as peak ratings at 25 degrees and terms such as ‘battery ready’ and ‘cut the cord’ are being brandished with fool-hardy abandon. Prices which really are too good to be true, will see some homeowners losing very serious sums of money through lack of performance, or product failure. In the absence of specific advertising regulations, we have developed a quick guide on what to look for, and how to compare hybrid battery systems and spot their limitations. The very first question you need to ask yourself is do you need, or even want backup power? If the answer is yes then the system costs will in most cases double. If the answer is no, then you’re after a ‘load shifting’ battery system which will take excess solar PV energy and store it for later use at night. You can expect to pay between $10K and $15K for a quality system with this type of capability. There aren’t anywhere near as many traps with load shifting as excess power is drawn from the grid, and there is no critical backup functionality. A typical design methodology looks at the lowest amount of power you would use every night, combined with a matching amount of spare PV energy. Since batteries of any type are expensive, it makes no sense to size storage if the usage isn’t there. Choose a figure that will get cycled every day and ensure that there is enough PV there to keep it topped up on all, but the darkest of days. The traps in these systems revolve around cycle life and usable energy. A good PV company will quote their battery systems in usable energy ie kWhrs with a given cycle life at that amount of energy. For example, an LG Resu 6.4 has 6.4kWhr of usable energy but only 90% of that will be used over the stated life cycle of 6000 cycles. Effectively that means the LG is a 5.7kWhr battery. If you’re looking at gels, or lead-acid then you’ve most likely been quoted on a depth of discharge of around 35% with a battery life of 5 years (1825 cycles). Is that system still cheap when you factor in replacing the batteries 3 times? Another way to look at this is usable energy multiplied by number of cycles equals lifetime energy output. This is a good overall comparison, but be aware that it doesn’t account for other limitations such as maximum discharge. Due to depth of discharge and its effect on cycle life it is very easy for an unscrupulous company to twist the numbers in their favor. Currently, in many cases it is near impossible to compare various systems as the statistics are often vague and misleading. To counter this we believe there needs to be an ACCC authorized code for battery systems which would include guidelines on advertising. To make comparisons easier for the consumer, all batteries being advertised should be listed as usable energy with a given cycle life, and clearly show its nominal discharge rating at 25 degrees. Such a code would be voluntary – similar to the Solar Retailer Code of Conduct diligently developed by the Clean Energy Council. Both systems were advertised as AC coupled. At the end of the day whether its AC or DC coupled is irrelevant. There are advantages and disadvantages to both methods, but the real key here is does the system deliver the energy it should? The fact is the Alpha is not an AC coupled system as the solar inverter sits behind the output of the ESS. What this means is that total power available during the day is equal to the maximum discharge of the ESS and that only. In a true AC coupled system, the maximum output during the day is the output of the ESS plus the solar PV. The Alpha can be ‘AC coupled’ with an additional PV inverter (and solar panels), but in this case it was sold as an all in one unit (ESS or Energy Storage System). We also looked at maximum discharge on the DC inversion side, as this is often where many cheaper batteries fall over. The Alpha is a scalable system, but in this case its maximum discharge was 3.6kW. 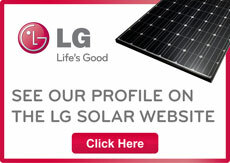 The LG will run constant at 3.6kW and peak at up to 4.8kW. We then mapped these two systems out over the year and informed the customer that the Alpha would ‘trip’ over breakfast on over-cast days, and quite possibly during the evening. We also calculated that the customer would have to find another method of producing hot water, as the DC coupled nature of this particular design would not allow additional day time load. I’m guessing we will get a phone call in roughly 12 months time due to instantaneous overload. It could also be in 5 years time when the batteries, which having been twice daily cycled reach their end of their life span in a third of the rated time. A key issue here is that poor design issues will not become apparent until well down the track. With that in mind, has your solar company been around for longer than their warranty term? Are they aware that an off-grid capable system often requires re-visits to tune and re-check? Do they include such service in their package, or is it set and forget? Can they shift excess energy and provide bundled hot water for free, or will you be left juggling candles in the rain? What is the maximum discharge of the batteries in AC amps (current), or kilowatts (kW). This is your maximum draw at night, or during rainy weather. Is the PV AC Coupled remembering that this means the PV is SEPERATE to the battery system, or at least internally configured such that the total output during the day is the battery system, plus the output of the PV. Most ESS systems are NOT AC coupled. Has the PV system been modelled around its minimum average output rather than its averaged output? The biggest cause of failing batteries is undersized solar arrays. What is the USABLE component of your batteries, and how long are they rated for? What is their total throughput in kWhrs over that lifetime? Does the system come with consumption metering, and is it capable of load shifting devices such as electric hot water systems? Are you looking for hybrid load shifting, or hybrid with backup, or full off-grid? Make sure all your competing quotes know what you are trying to achieve. Has the company in question been around for longer than their warranty term? Can they show you logging of previous projects? Who is their off-grid licensed electrician and have they asked you to fill out a detailed sizing spreadsheet? At Ecolectric solar is our passion, so if you’d like to have a yarn about battery systems feel free to give us a call.